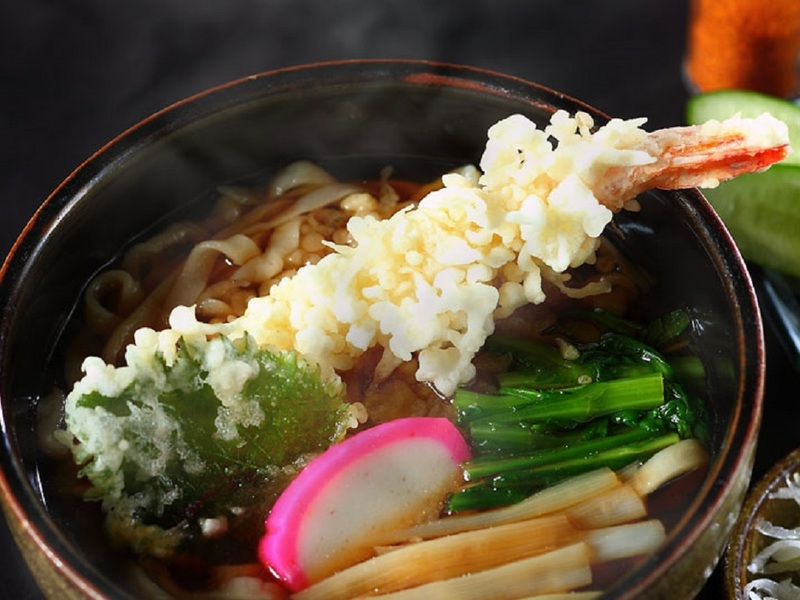 Our Sarashina soba is made from pure buckwheat (Sarashina soba can be traced back to the Edo period, and it is one of three traditional varieties of soba, along with the contemporary Yabu soba and Sunaba soba). 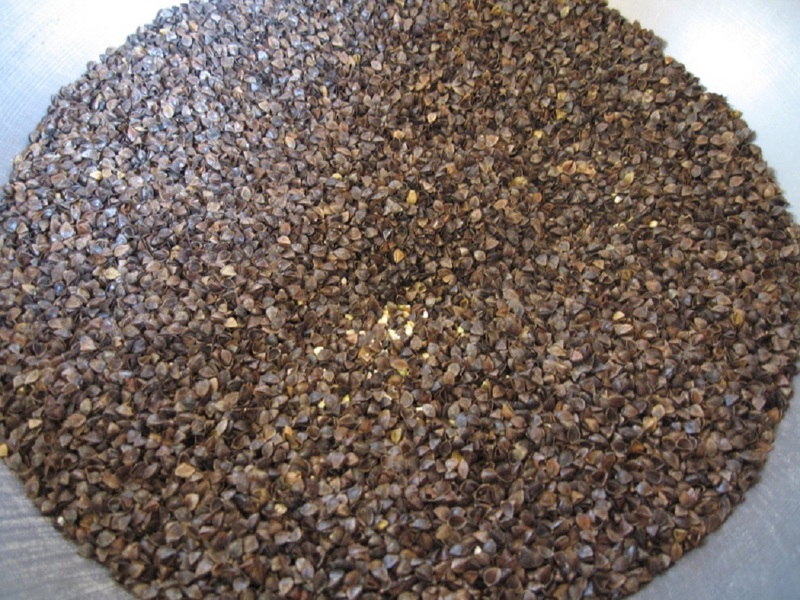 Using the primary grinding method used in Nishiaizu in Fukushima Prefecture, which has a yield rate of 50~60%, produces a high-quality product with minimal bitterness. 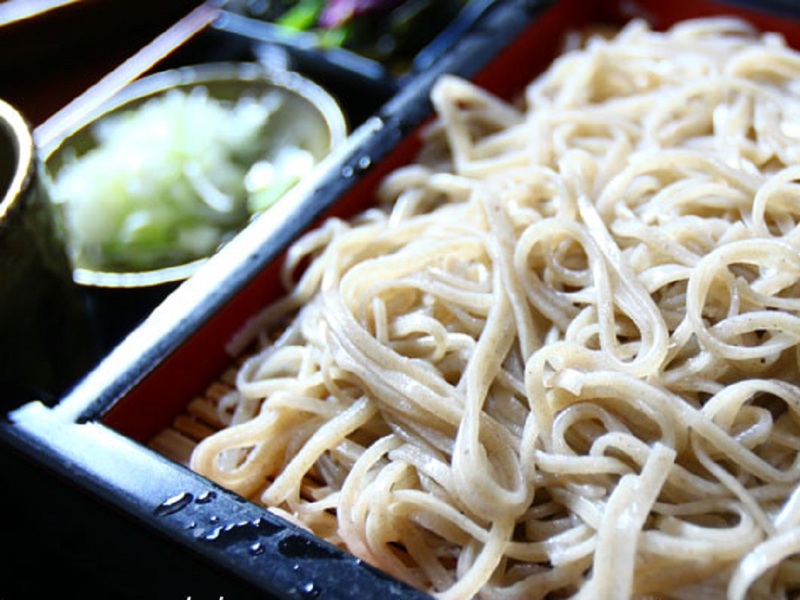 The soba is white, translucent and delicious. 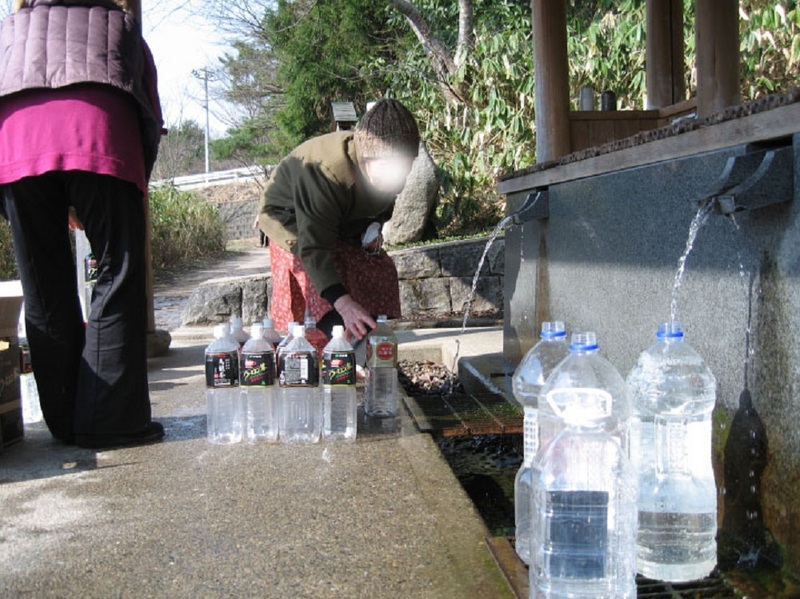 Our soba uses Iwase spring water from Echigosan-shimizu, which has gushed forth since the end of the Edo period. 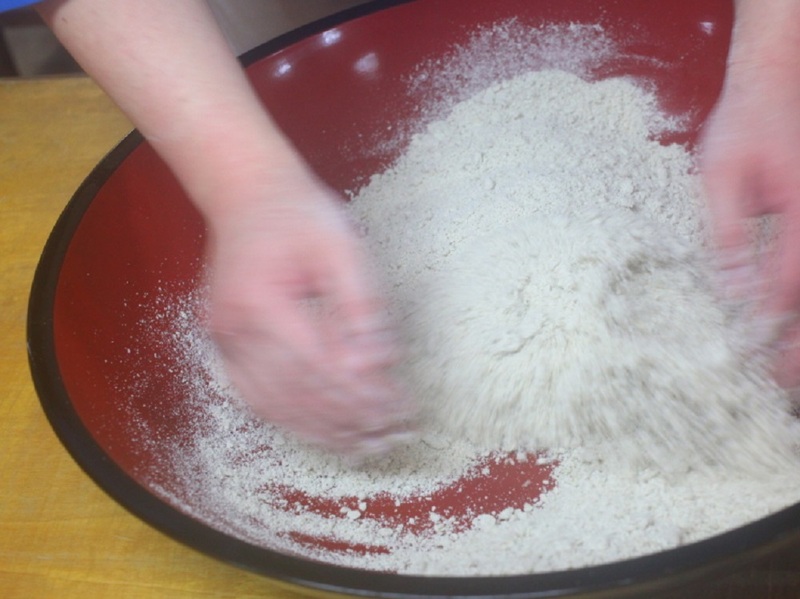 The process of kneading with the boiling spring water, produces translucent pure buckwheat soba. 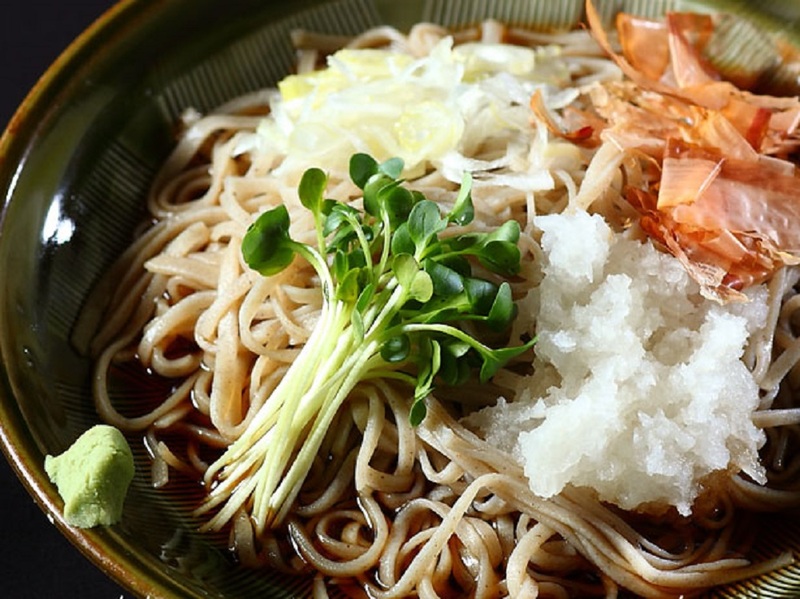 Cut into slightly wide noodles, the soba expresses our shop’s unique chewy and glutinous taste. 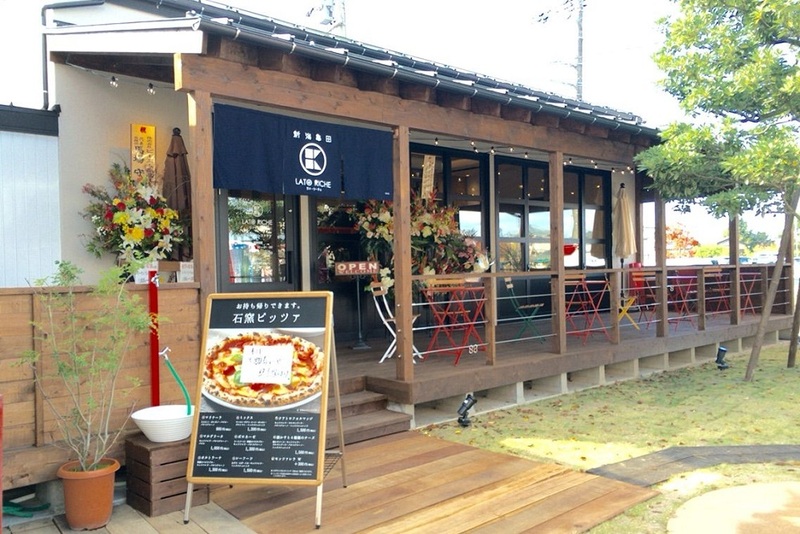 Our shop is in the style of an old Japanese house with an all-wood interior. 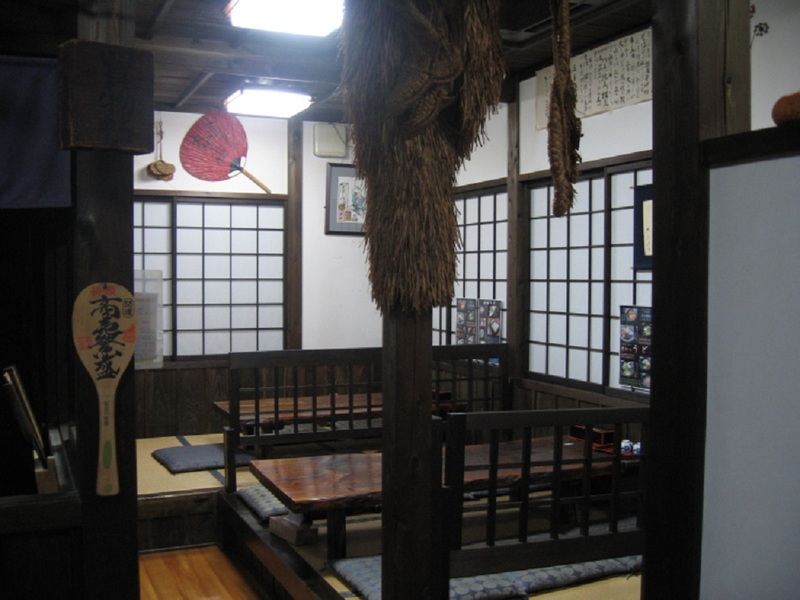 Antiquated farm tools such as straw rain capes and bamboo hats decorate the shop. The chairs facing the courtyard may also be used as chairs for the elderly and those who have difficulty kneeling. 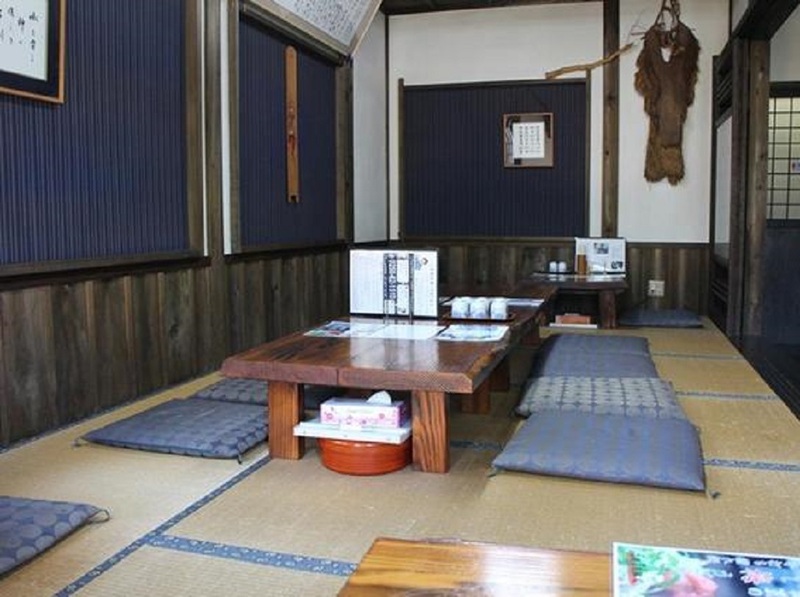 Otherwise, there are tatami rooms with solid wood tables that create a serene environment. 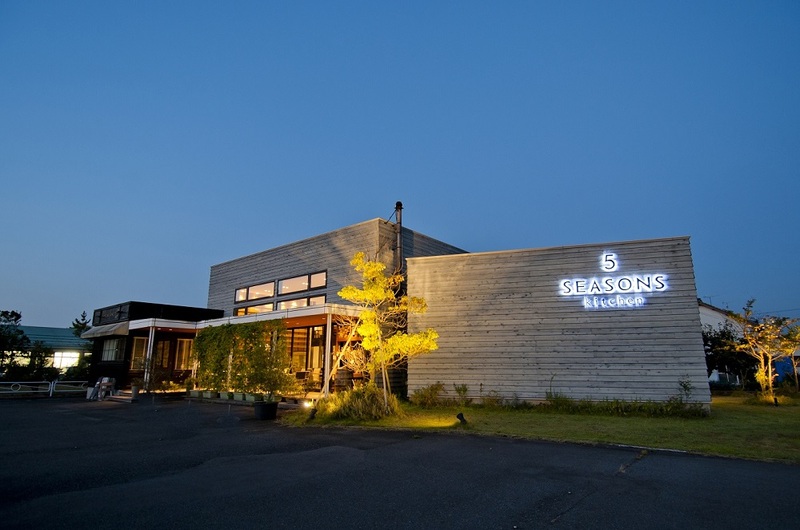 Our shop has a heated floor, so guests seated in chairs will be able to enjoy their time warm and relaxed, even in the winter. The heated floor is very popular with our guests. 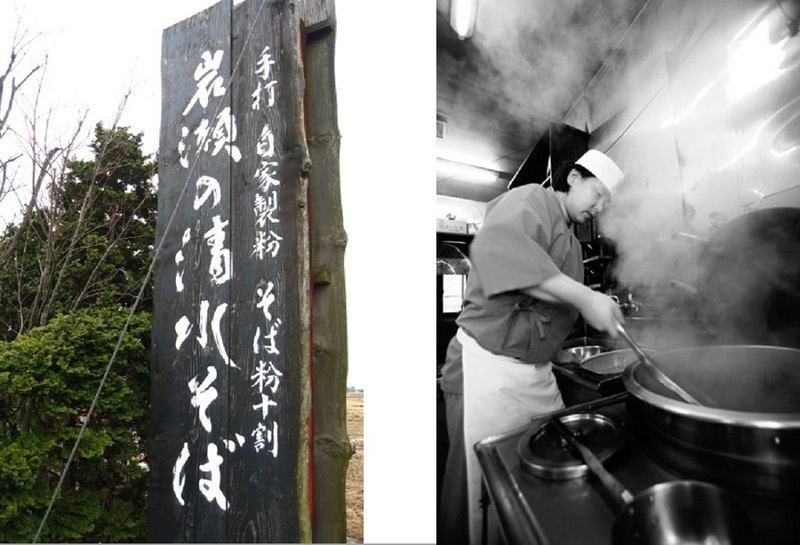 Four Reasons for the Deliciousness of "Shimizu Soba"
Fukushima Prefecture’s Nishiaizu is famous for producing buckwheat. 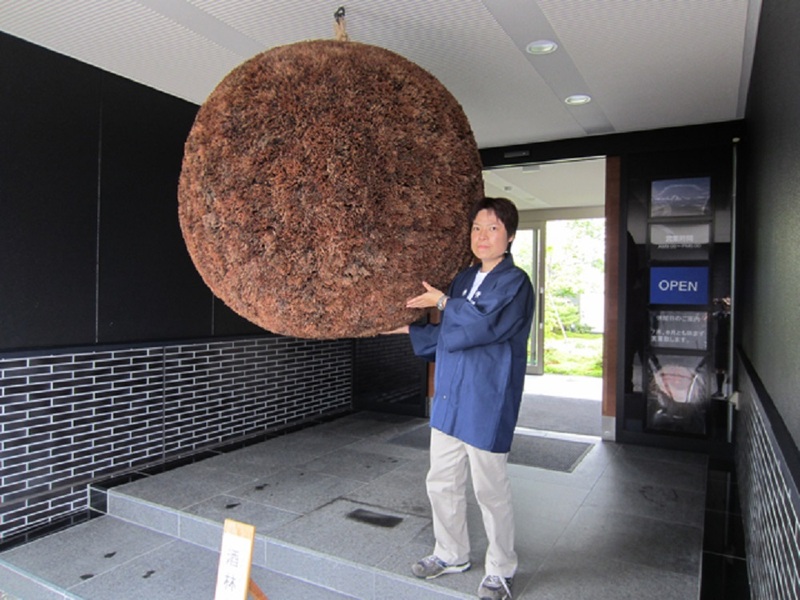 Our shop buys unshelled buckwheat directly from our contracted farmers in Nishiaizu, and then we use the stone mortar in our shop to grind only the amount we need for the day to guarantee freshness. 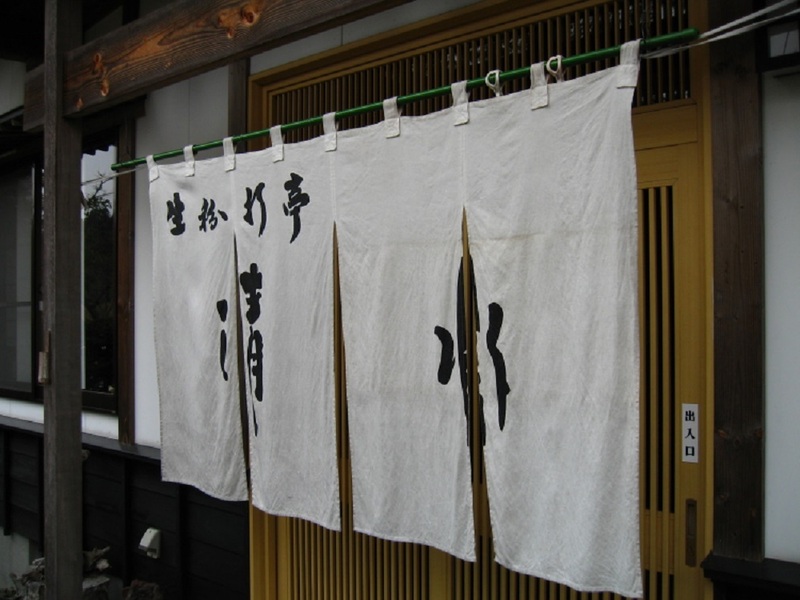 Most other handmade soba shops buy ground buckwheat directly from milling companies, so thethe freshness of their flour is incomparable to ours. 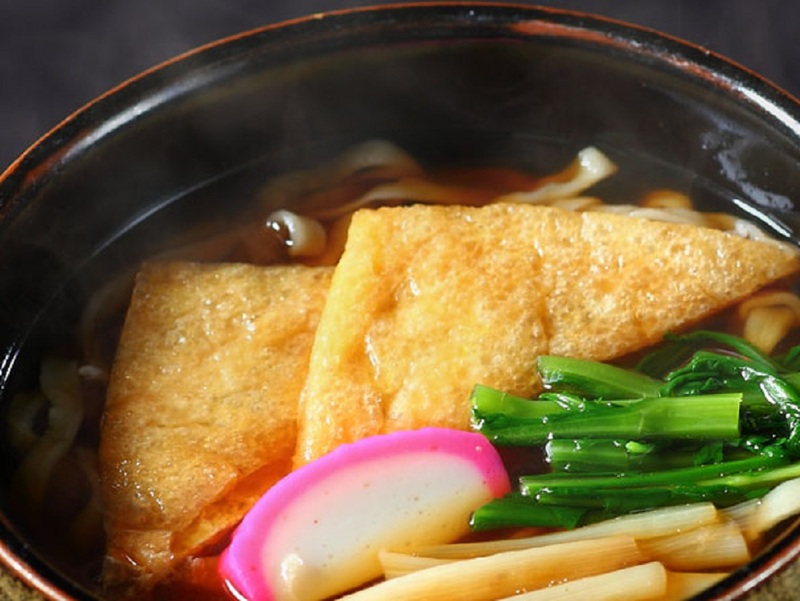 - Fresh soba has a depth of flavor, a strong fragrance, and vibrant color. 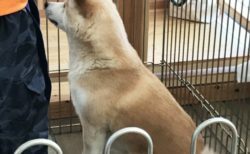 - Less fresh soba lacks depth of flavor, has a weak fragrance, and a dull color. 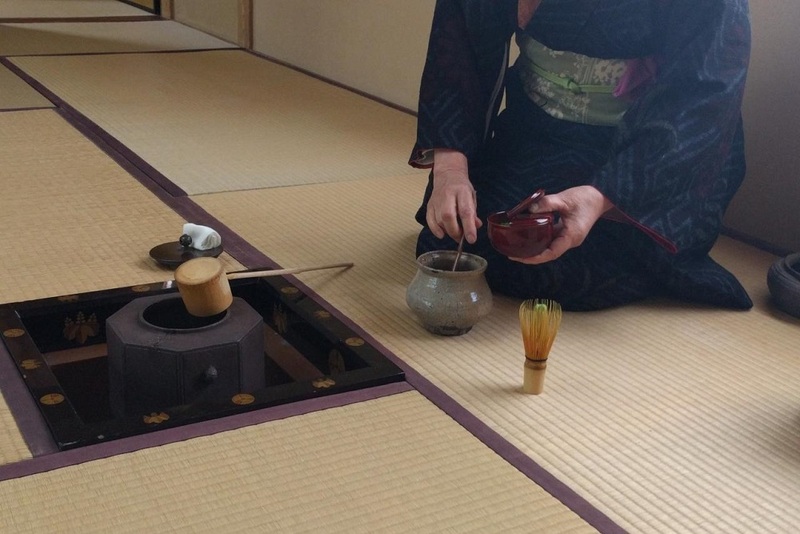 There are few soba shops with their own milling house for making buckwheat flour using a stone mortar. Our shop has high-level equipment comparable to specialized milling companies. - With an altitude of about 400m, fog blocks out the sun from summer to autumn, creating a large temperature difference between day and night. 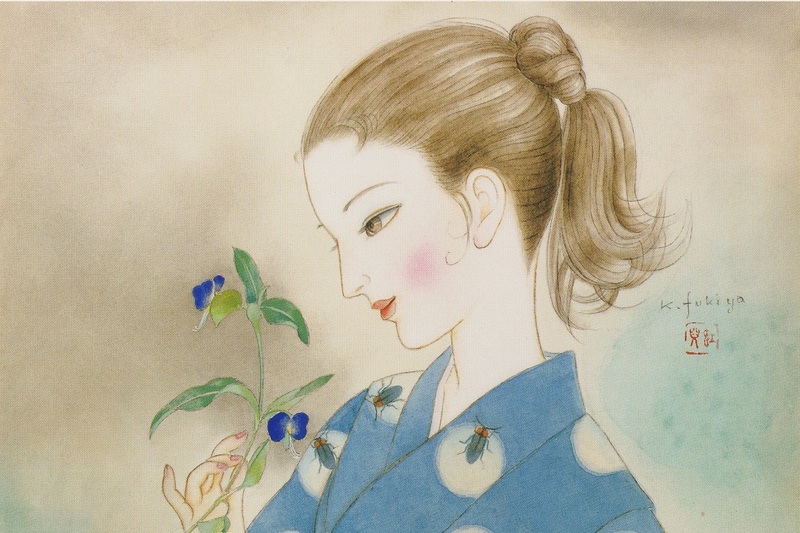 - The buckwheat is cultivated using the underground water of Iide, created from melted eternal snows of Mount Iide. 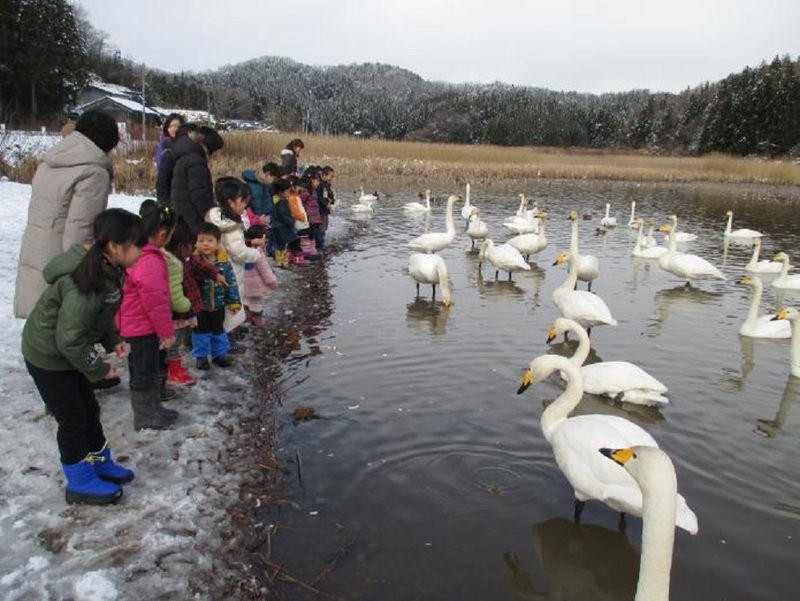 - The relatively cool climate of the area. - The black soil with good drainage. 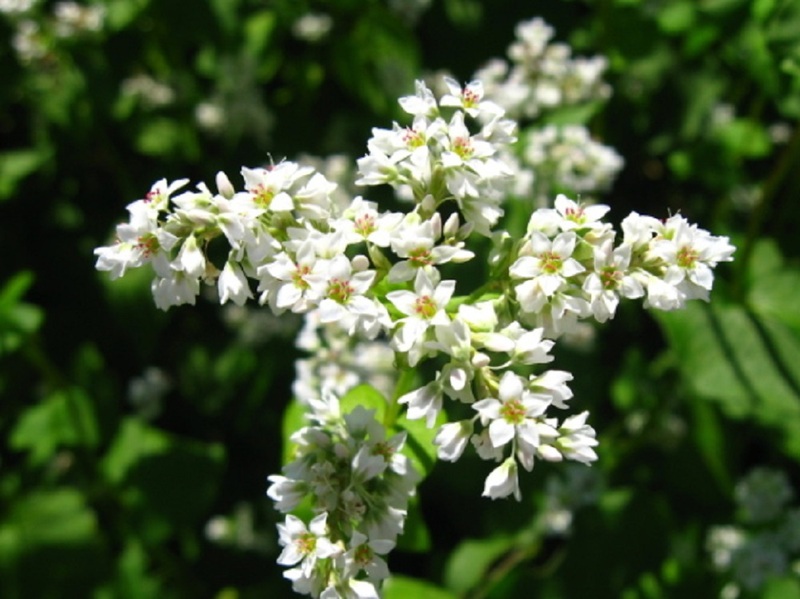 This growing environment adds flavor to the buckwheat, and is the secret of its deliciousness. The buckwheat benefits from the unique climate here, particularly the large temperature difference that caused by the thick fog. Growing buckwheat at a lower altitude simply does not compare in either taste or smell. 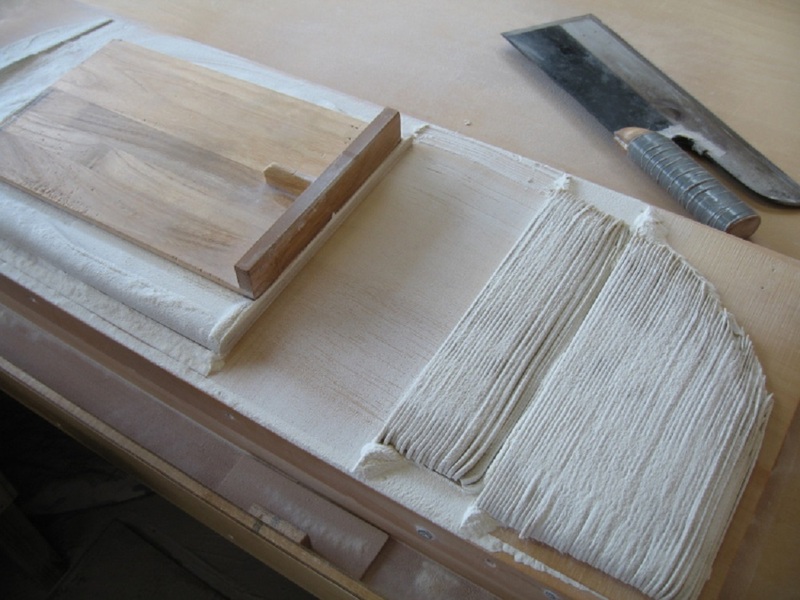 While soba is usually shaped with a 2 mm square at the cross-section, our soba is evenly cut into 2 mm width and 1 mm thickness. 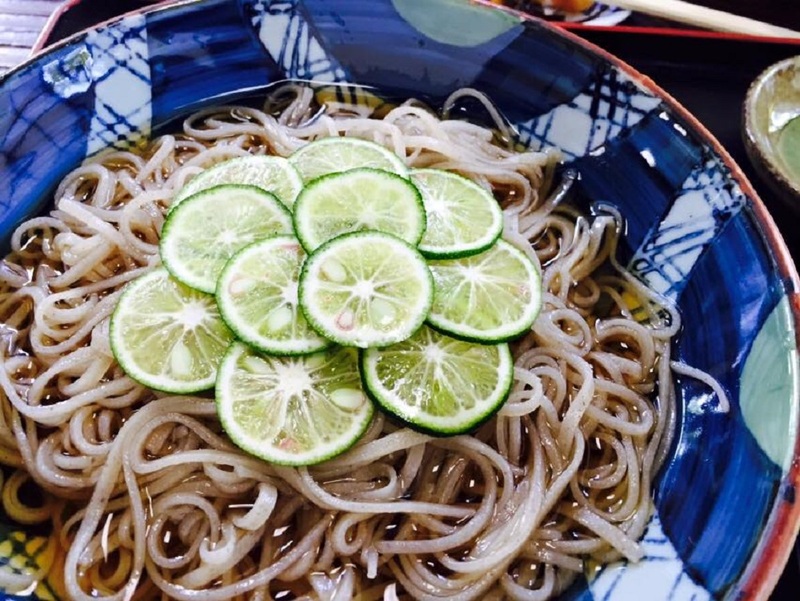 The thinly-stretched soba is translucent, chewy and particularly well-received by our female guests. 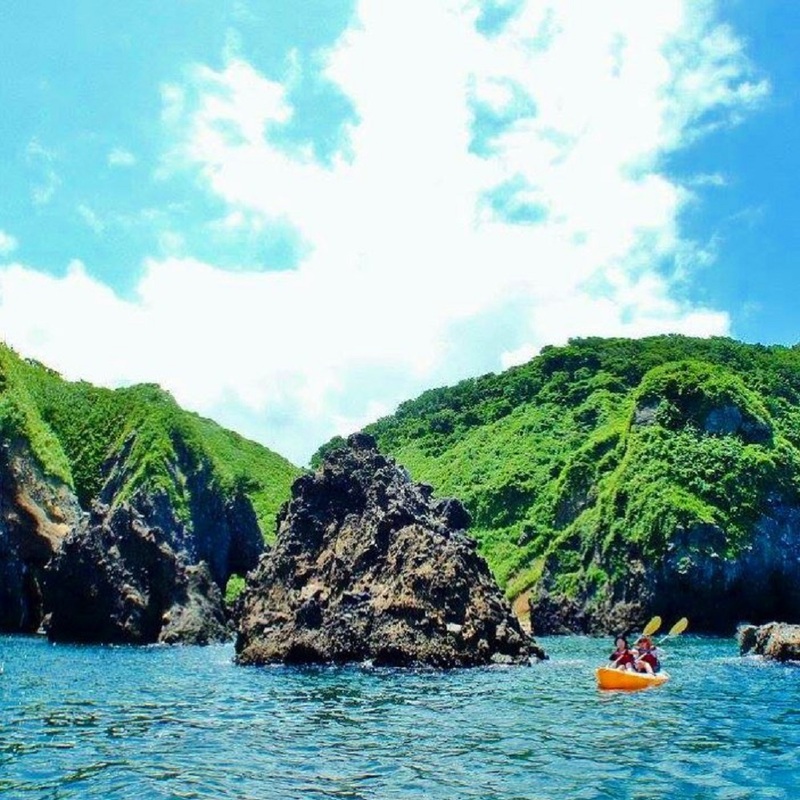 Directions: 10 minutes by taxi from Suibara station.